Exclusive Offer with Action Tours Big Bear!!! Destination Big Bear has an exclusive offer with Action Tours Big Bear for our guests. This is an offer that is only available when booking a cabin rental through Destination Big Bear. You will not find this amazing deal anywhere else! If you book a vacation rental in Big Bear with us right now, Action Tours Big Bear will throw in this exclusive offer= 15% off per person AND the 8th person in your party is free, on your choice of one of their four popular tours. Imagine soaring through the forest on a thrilling zipline course. 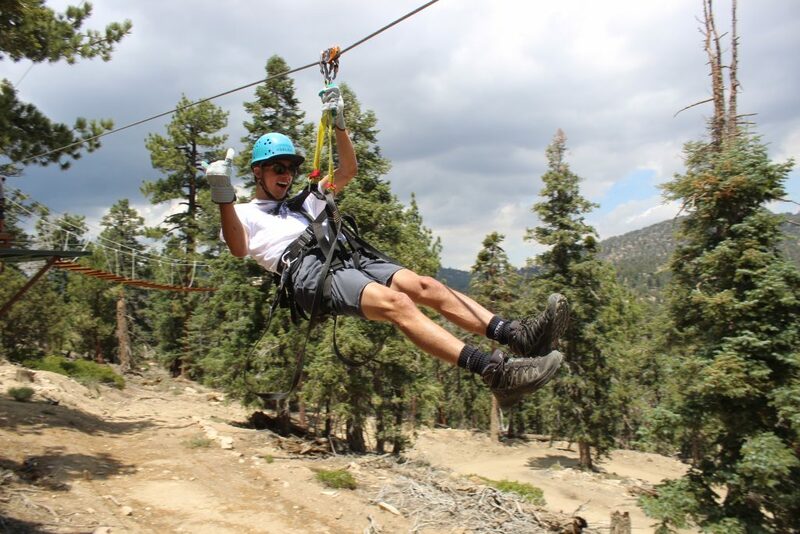 Or perhaps, you’d like to slow it down and get a bird’s eye view of Big Bear while working through a challenging tree rope climb course. For those who prefer to stay on the ground, Action Tours offers a guided Segway Tour of Big Bear. As soon as the snow arrives, you can also choose a snowshoe tour. Action Tours Big Bear has an adventure for most people in your group and with this exclusive offer, there is no better time to get outside and enjoy our beautiful mountain. Fall is the perfect season to plan your escape. To book your Big Bear cabin rental and take advantage of this exclusive offer, please call – 909.752.0234. Next story Spartans: Why a Cabin?